Additional shipping charge of $130.00 for delivery. This versatile, resilient and graceful table was designed as part of a commission for the Bouroullec brothers to create furniture for the University of Copenhagen. Aiming to create a comfortable environment that would encourage students to stay in school, the university asked for design that had a warm and domestic touch, while still being low-cost and practical. 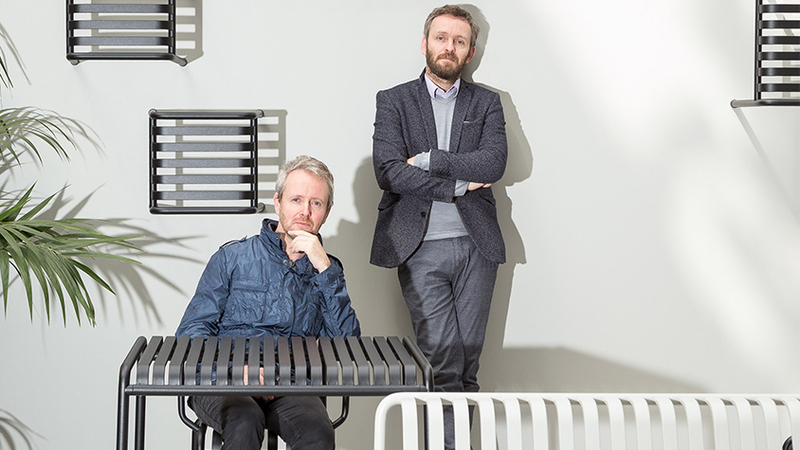 The Bouroullec brothers approached the task by merging classic cues from design history with modern technology. Both the Bouroullec brothers and the manufacturer HAY are represented in MoMA's collection.